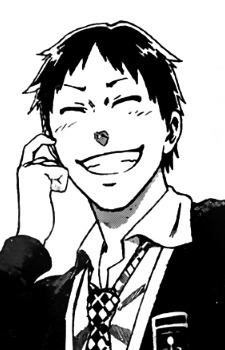 Kuromine Asahi is a man who can't lie. People around him can easily read his emotions, which is why they call him "ana no aita zaru" (a bag full of holes) or "anazaru" for short. Due to that people usually seek his opinion and sometimes keep him out of their "secret talks." One day, while attempting to confess his love to Shiragami Youko he suddenly learnt that she is in fact a vampire. Not wanting her to leave school due to her secret being exposed, Asahi promised her that he will keep this fact hidden at all costs. This week on Jitsu wa Watashi wa: do osananajimi work as well as vampires and robots? This week on Jitsu wa Watashi wa, the show returns to what (and who) really makes it work best, and the results are predictably good. When it's good, this may just be the funniest comedy of the season.